1. What do cleaners cost in Switzerland? Cleaners are expensive in Switzerland. Prices typically range from around CHF 20 to CHF 30 an hour depending on the location and level of experience. Prices are high, partly because of the rising value of the Swiss franc, which has risen by around 35% against the US dollar, and nearly 90% against both the pound and the euro over the last 10 years. There is no guaranteed minimum wage in Switzerland, however if you employ a cleaner for five hours or more per week, special federal government rules require you the pay minimum rates. The rules and rates can be found here in French and German. The federal government has set a minimum wage of CHF 18.55 per hour for those with no experience or training, rising to CHF 22.40 for those with experience and qualifications. Geneva has its own rules which set the minimum at CHF 19.26, rising to CHF 24.77 for qualified experienced staff. 2. What visas and work permits are needed? 3. What social security, pension payments and taxes must be paid? 4. What pension payments are required? Employers are not responsible for the third pillar, but must make social security payments for the first pillar (point 3 above) and second pillar payments if monthly pay exceeds CHF 21,150 a year, equivalent to around 16 hours a week on an hourly wage of CHF 25. There are many different plans and legal minimums. Payments include employer and employee payments, which are deducted from salary payments. 5. Is an employment contract necessary? Written employment contracts are not required by law in Switzerland. There are however many reasons for having one. The first is the requirement to present one to Swiss authorities if you need to get a work visa for a non-Swiss citizen. The second is to provide a record of what you agreed should there be a misunderstanding or dispute. 6. 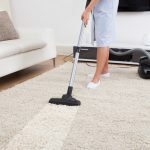 What happens if my cleaner is unable to work due to long-term illness? Once your cleaner has worked for you for three months you are legally required to continue paying them if they fall ill and are unable to work. How much you must pay depends on how long they have worked for you. 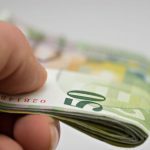 Swiss law, in French and German, sets out how much must be paid. The amount varies by canton. For example, in Zurich it starts at 3 weeks pay for cleaners employed for less than one year, rising to 17 weeks of pay for those who have worked for you for 11 years. If you are concerned about the cost and would prefer to avoid the risk, you can take out employers’ sickness insurance. This typically costs less than 1% of salary. Its main advantage is that it extends payments beyond the legal minimum. For example if you have employed a cleaner for less one year you would legally only need to pay them three weeks of pay, if you live in Zurich. After a short stand down period, of say two weeks, sickness insurance would typically pay 80% of their salary for two years. This gives both you and your cleaner peace of mind should something requiring extended time off work occur. 7. What other risks and what additional insurance should be taken out? Another risk for employers includes employee-employer disputes. For example, if your cleaner decides to stop coming to work or makes unrealistic salary demands and then decides to take the issue to court you need to defend yourself. Insurance covering the cost of legal defense can be taken out to reduce the risk of a nasty financial surprise. As you have probably gathered by now, employing someone in Switzerland is complicated. This means you need to make sure you take on the right person to avoid needing to repeat the process.